David was elected Fellow of the Royal Academy of Engineering in September 2016. He is very proud of this as it the pinnacle of the profession and election is by current Fellows; you cannot apply for membership. He signed 'the book' in front of royalty in October 2016. In January 2016, David moved to Royal Holloway, University of London to start as the Founding Head of a brand new Department of Electronic Engineering. Based in Egham (around 10 miles south of Heathrow) with its magnificent Founder's Building modelled on the Château de Chambord in France's Loire Valley, Royal Holloway was founded in 1879 as an all women College (men were admitted from 1945). Electronic Engineering is looking to attract greater than the national average numbers of female students. David brings his insights into the role on the importance of creativity in engineering through his background in teaching and researching in the area of music technology. His guiding principle is that "Creativity underpins ingenuity which sparks invention for which science provides the tools to achieve engineering outputs, and project management skills enable the production of a salable product”. Teaching will be project lead and David is looking to make contacts appropriate to furthering these goals. David M Howard is Fellow of the Royal Academy of Engineering (FREng), a Chartered Engineer, Fellow of the Institution of Engineering and Technology (FIET), Senior Member of the Institution of Electrical and Electronic Engineers (Senior MIEEE), Fellow of the Institute of Acoustics (FIOA), Member of the Audio Engineering Society (MAES), Member of the British Association of Academic Phoneticians (MBAAP), Member of the British Voice Association, and the Head of the Department of Electronics at Royal Holloway, University of London. There he holds the Chair in Electronic Engineering and he researches in the area of music technology with particular reference to the analysis and synthesis of the human voice; for both singing and speaking. 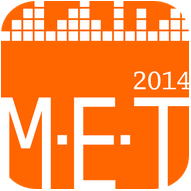 In addition, he writes iPhone Apps and real-time software for use in voice teaching. David is an organist, choir conductor and choral singer and he links his musical interests in with his research whenever possible. He is the Musical Director of Feltham Choral and organist at St. Mary's, Thorpe. Previously, he conducted Consonance, a local small choir that sings Evensong in St. Helen's Church in York approximately monthly, and before his move he briefly conducted York Cantores. Until 2014 he was the conductor of the Vale of York Voices that sang Evensong once a month in York Minster. He is always looking for opportunities to play interesting pipe organs (Royal Holloway has a 3-manual Walker from 1886 rebuilt by Harrison & Harrison in 1978 in its chapel which has very expressive swell boxes with 90 degree opening shutters and a 16' pedal reed that is extended en chamade from its 8' en chamade trumpet); they are so varied and typically, each one is unique. David is very proud to have been made an Honorary Member of the Association of Croatian Choral Directors after giving an Invited Keynote at the Ars Choralis 2014 Conference and to have been presented with a plaque for his Scientific Research in the field of Chorusology. David gives lectures to encourage public understanding of science, engineering and technology as often as possible and has led a number of Cafe Scientifique events, National Science and Engineering Week stands, and has appeared on TV as presenter (Voice and Castrato for BBC4-TV) and many times as an interviewee. He works with Francis Newton on providing healthy voice use advice and guidance workshops as 'Voice Matters'. Away from work David is a keen sailor and having completed the Royal Yachting Association (RYA) Day Skipper qualification. 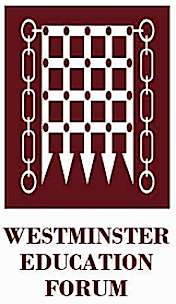 David spoke at the Westminster Education Forum Keynote Seminar: CULTURAL EDUCATION - take-up, diversity and developing skills for industry (Royal Aeronautical Society, 4 Hamilton Place, London on Tuesday 8th December 2015). His topic is: 'Creative Scientists' - what is the value of the arts for STEM? The link between creativity and engineering forms the heart of this talk which notes the link between ingenuity and engineering and the need for creative input to all engineering processes. 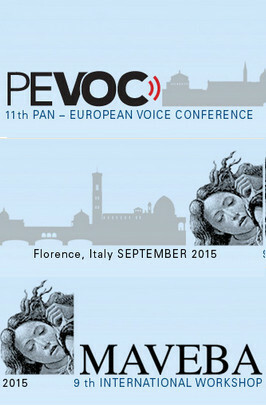 David presented papers at the 11th Pan European Voice Conference (PEVOC-XI) in Firenze in September 2015 and took part in two invited Round Table discussions at the MAVEBA and COMET events running in parallel. The Vocal Tract Organ was featured along with work on voice synthesis and vocal tract acoustic measurements. It was be a 2015 Grand Tour as he drove to Firenze in an MX5. David has written Choral Singing and Healthy Voice Production for choral directors and choir singers which was launched in St. Sepulchre's, London with Ralph Allwood (who wrote the Foreword) with his Rodolfus Choir on Friday 20th February 2015. It covers voice production, vocal health, choral singing, warm-up exercises, and tuning and blend with examples to be used in rehearsals to develop skills. Published by Willow Leaf Media. Available on Amazon. Comments from Ninevoices. 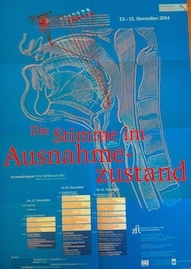 David presented the Vocal Tract Organ in Berlin in November 2014 at the Die stimme im Ausnahmezustand event. The focus is on unusual voice performance instruments and how they are used in practice. This is a 'by invitation' presentation which is rather special! 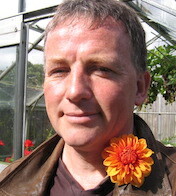 Here is David Howard with David Howard as I am wearing a David Howard dahlia. The dahlia is not named after me but after a British nurseryman. It can suffer from earwigs, caterpillars, aphids and glasshouse red spider mite. Rather smart! 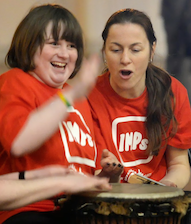 David worked with Andy Hunt at the 'I'm inclusive' music event in the Ron Cooke Hub, University of York on 1st March 2014 demonstrating new musical instruments and controllers including the Vocal Tract Organ. David was a Keynote at the SEMPRE (Society for Education, Music and Psychology Research) conference: 'Researching Music, Education, Technology: Critical Insights' conference at the Institute of Education, London, 2-3 April 2014 where he presented his Vocal Tract Organ. David was invited to the Ars Choralis 2014, the International Symposium on Chorusology in Croatia (24-26 April 2014). There he will conduct and accompany a local choir at the opening ceremony and give a Keynote Paper on the Choral Sound. (Download poster: side A, side B). David is very proud to have been made an Honorary Member of the Association of Croatian Choral Directors and to have been presented with a plaque for his Scientific Research in the field of Chorusology at this event. David will give a Gresham Lecture as part of the 2014 City of London Festival on Monday 30th June 2014 at 18.00 on The science of choral singing (venue and further details to be confirmed). David appeared on French television 'Arte' in Les mystères de la voix humaine on Arte on 22nd December 2013 at 22:25. In it he discusses the function and acoustics of the human singing voice and illustrates this with examples from his Vocal Tract Organ using an extract from his Vocal Vision II with York soloists David Howard and Ben Lindley.